An easy harvest anthem for unison children's and/or SATB choir, with piano or organ or orchestral accompaniment Look at the world is suitable for Harvest Festival services, or for any occasion where it is appropriate to praise God for the gifts of creation. An orchestral accompaniment is available on hire. 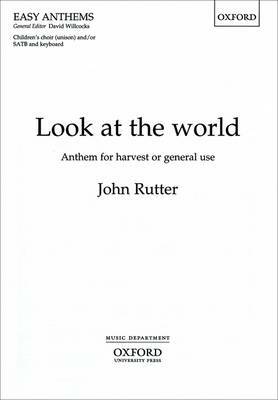 Also available in John Rutter Anthems.